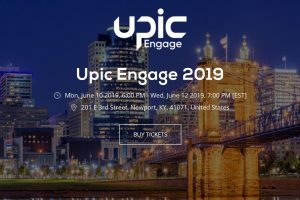 Come join us for the first annual Upic Engage – designed to help local United Ways engage, impact, and grow in their community, donors, and United Way network connections. Immerse yourself in two days of sharing best practices, meeting new faces, and celebrating the good work being done today. We are working on an incredible line-up of speakers and sessions, currently highlighted by Chris Martin, CEO, United Way of San Antonio and Bexar County, Ross Meyer, Interim CEO, United Way of Greater Cincinnati, Tommie Lewis, CEO of Make it Plain Consulting, Doreen Whitley-Rogers, AVP of Information Management. Check out our event site for frequent updates to the sessions and speakers!